On Friday, January 20, the United States will inaugurate as president a man who has demonstrated himself to be racist, sexist, xenophobic, ignorant, reckless, intolerant, petty, authoritarian, and kleptocratic. He's packing his cabinet with people either willfully blind or openly hostile to the diversity that gives America much of its strength and beauty, apparently on the principle that government should benefit only white people, straight men, and the rich. Meanwhile, a community radio station in Bridgeport that began broadcasting on the FM band just days before the presidential election is amplifying dissenting voices from Chicago's vibrant margins. WLPN Lumpen Radio debuted at 105.5 FM on November 4, 2016, after existing as a Web-only streaming station since April 2015. It's the latest outlet of the nonprofit Public Media Institute, founded by Bridgeport native Ed "Edmar" Marszewski in 2000. 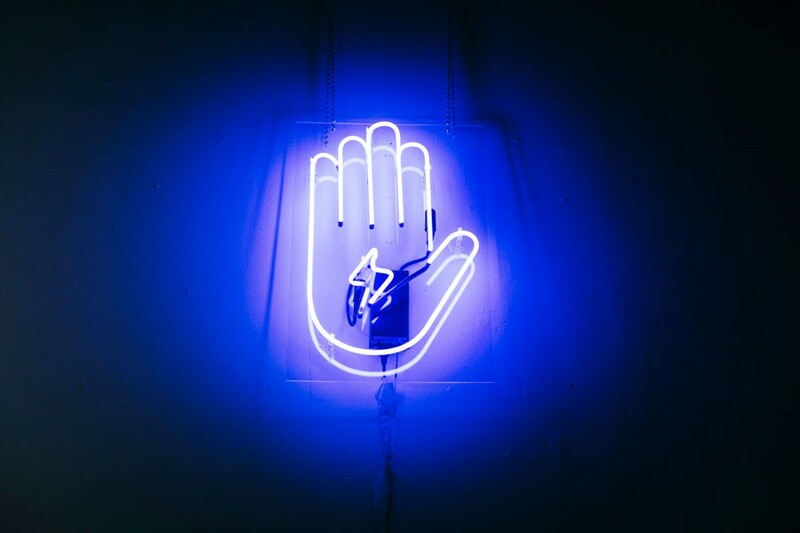 The institute's current endeavors also include gallery and performance space the Co-­Prosperity Sphere, the Version multi­media arts festival, craft-beer journal Mash Tun (Marszewski owns Marz Community Brewing), and Lumpen magazine, which has covered Chicago counter­culture since 1991. The term "lumpen" usually refers to populations that are economically, socially, or culturally dispossessed or uprooted. Marsz­ewski has long used the print pages and gallery walls of his various PMI projects to promote the voices and ideas of local, national, and international fringe artists and performers, emphasizing the value of free thought and a do-it-yourself ethos. Marszewski has a background in audio and video, most notably with defunct website Supersphere, which launched in 1999 to host streamable video of live concerts, radio programming, and other content. A few years ago, when regulatory and legislative changes made it feasible for a small nonprofit to acquire a low-power FM radio license, Marszewski says it was a "no-brainer" to set the wheels in motion. "We wanted to present marginalized voices and voices that aren't amplified on the FM media­scape," he explains. The changes in question arose from progressive media activists' long campaign to address some of the pernicious features of the Telecommunications Act of 1996, which enabled a wave of corporate consolidation and homogenization in radio. 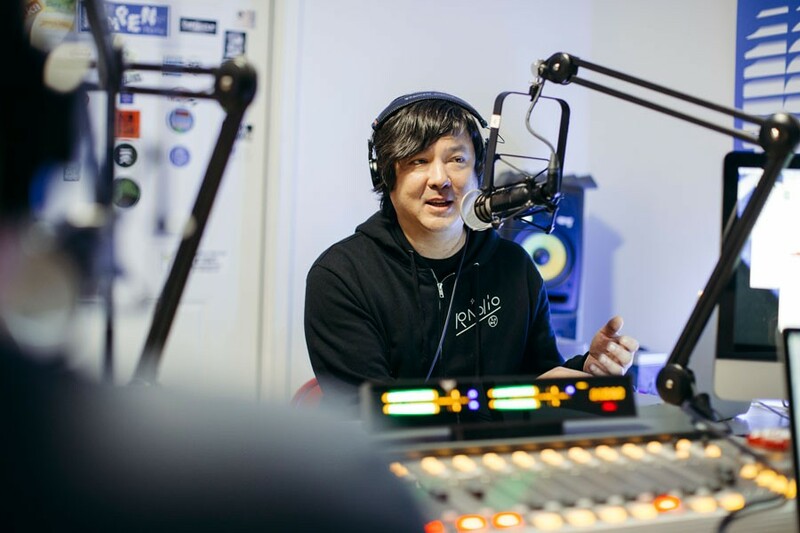 The Local Community Radio Act, one fruit of their labors, was introduced in its earliest form in 2005—and when it finally became law in 2011, it opened the door for a crowd of new low-power FM stations. Previously concentrated in rural areas not served by larger broadcasters, LPFM stations could now operate in major cities, tucked into the small gaps on the frequency map not filled by their bigger siblings. The Federal Communications Commission accepted applications for new LPFM stations for one month in fall 2013. About 2,800 applications poured in from around the country, and nearly 2,000 were approved—including those from Lumpen Radio and local station CHIRP, which had been online since January 2010 and will soon begin broadcasting at 107.1 FM. While big commercial operations often hum along at 50,000 or even 100,000 watts of effective radiated power, LPFM signals are typically rated at 50 to 100 watts. Lumpen Radio director Logan Bay says listeners can pick up the station as far northwest as Avondale on a good day, but that it doesn't have much reach to the north or northeast (due to downtown skyscrapers) or to the south (due to signal blanketing by a country station from Indiana). LPFM stations are also designated "noncommercial educational" by the FCC, meaning they can't sell on-air advertisements—but in return, they're exempt from broadcast license fees. NPR affiliates, while not low-power stations, share this designation—hence the on-air pledge drives. 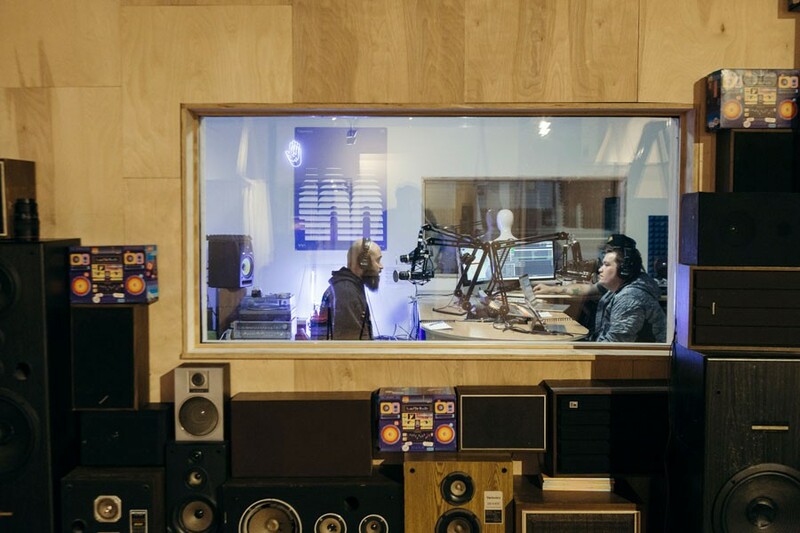 Lumpen Radio received its FM permit in December 2014, but the station still had to cover the considerable expense of building a studio (using space in the Co-Prosperity Sphere) and renting space on a broadcasting tower near the Lagunitas brewery in Lawndale—costs it estimated at $100,000. Lumpen raised funds via private donations and a spring 2015 Kickstarter campaign, and soon it was operating online. As an FM station, Lumpen Radio broadcasts around the clock, presenting on average 13 to 15 hours of live programming per day. Mar­szewski brought on Bay (who's also a DJ and artist) as station director in February 2015. He's the only paid staffer, working with WLPN's volunteer DJs and hosts, most of whom have little to no radio experience. Some DJs prerecord their sets and send them in, and when no one's lined up, Bay fills the hours with automated music or syndicated shows—Democracy Now!, for instance, airs every weekday at 8 AM. He's also responsible for making sure the station abides by FCC regulations, which among other things prohibit profanity and what the agency deems to be the spreading of false information. Part of Lumpen Radio's mission is to help redefine who's qualified to participate in broadcast media, providing opportunities for people with niche interests or special knowledge but no relevant background or training. "People who play music here are passionate nerds who have spent their lives collecting records," Bay says. "This is beyond Spotify. 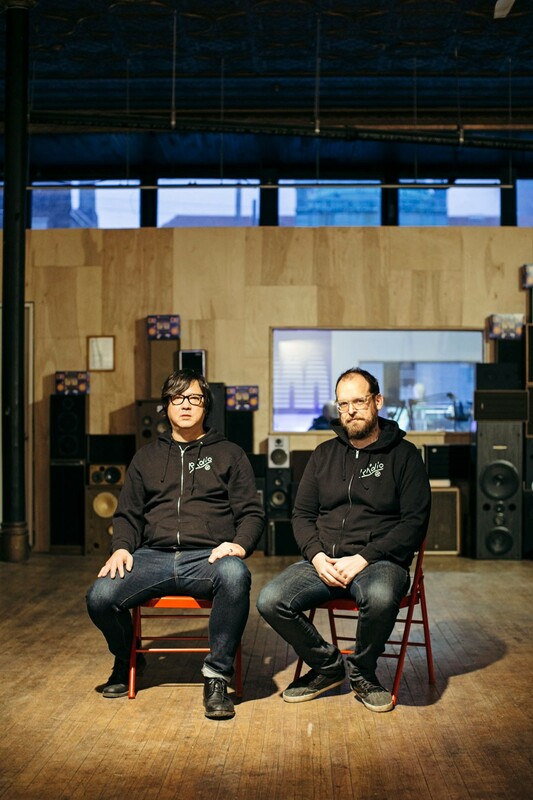 These are people who live their lives around their particular musical interest, and they have the opportunity here to share these sounds and freak us out." He points out that an FM signal is a great equalizer for listeners: There are no significant financial or technological barriers to entry. You don't need an expensive device or even an Internet connection—just a decent old-fashioned analog radio. Each week local DJs and record collectors come to the WLPN studio to spin the music they love—psychedelia, punk rock, country marginalia, various microgenres of soul. Sandra Treviño and Stephanie Manriquez, who've DJed together as the Ponderers since 2013 (they'd each gotten their start at Radio Arte, the youth-run station of the National Museum of Mexican Art in Pilsen), play songs by woman-led groups from around the globe, with a particular focus on Latin America. Treviño points to Xenia Rubinos as an example of a musician who has an important message but doesn't get the attention she deserves. "She wrote a song called 'Mexican Chef' about people the U.S. perhaps disregards, even though they're the ones in the kitchen cooking our food," she says. "Mainstream radio may not allow that to be played, but a community station like Lumpen is all about diversity and being inclusive." WLPN also hosts talk programming from local activists and academics, who discuss politics, architecture, labor, tech, and more. Craig Harshaw, Leah Gipson, and Keith Brown, who met through the Art Institute of Chicago, host the two-hour monthly show Divisive, which in their words posits "difficult and divisive conversations as central to all struggles for human liberation and environmental sanity." Recently they've talked about the flaws of neoliberalism, Nate Parker's film The Birth of a Nation, and of course the president-elect. Harshaw says that independent radio stations are more important than ever under the new administration. "What's scary is that our media structures are really limited to the voices that they consider appropriate," he says. "They are bringing on members of the alt-right, neo-Nazis, and people who have been accused of hate crimes as legitimate commentators, and then we have kind of nobody really speaking to the other side. You have these extreme right-wing people, and then a centrist liberal trying to oppose that—there's no balance." Freelance technology writer Melanie Adcock uses her WLPN show, Tech Scene Chicago, to highlight local tech-centric events (civic hacking meetups, for instance) and elevate deserving subjects ignored by bigger media, such as African-American women working in STEM fields. She explains that a lot of Chicago tech coverage chases big-money stories—especially about start-ups that receive millions of dollars in funding or get sold for massive sums. People trying to showcase other ideas in tech get little exposure, and Adcock wants to connect these grassroots organizers and overlooked voices with a wider audience—she hopes this will encourage the public to see the scene as something they can get involved in, not just an intimidating abstraction. Lumpen Radio has also partnered with Yollocalli Arts Reach, a free youth arts program founded in 1997 and headquartered at the Boys & Girls Club of America in Little Village. A group of about 15 students ranging in age from 13 to 20 record a quarterly show they've titled Wattz Up!, which they use to discuss music and other pop culture (Harry Potter, Pokémon Go) as well as immigration and politics. Before the students are permitted on the air, they have to take classes in creative writing, speech, and sound editing. WLPN will broadcast the next installment on Saturday, January 28. In the episode "Downfall of the Human Race," the Yollocalli group present their fears about living under a Trump administration—some of the students are undocumented, and others have undocumented parents. Many of the kids are protected by Obama's Deferred Action for Childhood Arrivals (DACA) policy, which allows certain undocumented immigrants who entered the country as minors a limited immunity from deportation. Trump's nominee for attorney general, Jeff Sessions, has already said he'd have no problem allowing the Department of Justice to abandon DACA. "The uncertainty that came with the moment [of Trump's election] was really scary for the students," says Manriquez, who's also a radio-journalism instructor for Yollocalli. "I told them that day that they are the new voice of youth in social justice." The students don't record at the Lumpen Radio studio—they transmit their show to the station when it's done, but they make it in a space that once served as an important neighborhood hub for community radio. In the 1970s and 80s, the building was home to youth-run station WCYC 90.5 FM, whose alumni included former WGCI DJs Kenny "Jammin" Jason (also a founding member of the famous Hot Mix 5) and Irene Mojica. The leaders of Yollocalli hope to similarly inspire their students to defy the limitations forced on to them by the city's many racial and economic injustices. Lumpen Radio's future plans include adding the technology required to accept live callers and rounding up the personnel it needs to edit and post its own podcasts. For now the station will continue to train new DJs and hosts, in hopes that someone in the community its signal reaches will be surprised by something enlightening—the kind of serendipitous encounter that's becoming less and less likely in our online spaces, as they're engineered to reflect back at people only what they already know or believe. Plus: Francophone pop group the Ye-Ye's lose a member to Berlin, and Jim Magas launches a new record label. This new Bridgeport operation has a crowd of brewers on deck, and takes advantage of their varied talents to produce a broad range of solid beers.